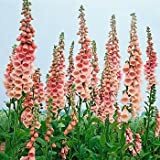 Foxglove growing herbaceous of the genus Digitalis also known as Digitalis purpurea, Foxglove biennial or short perennial evergreen used as ornamental medical plant, can grow in temperate mediterranean or subtropics climate and growing in hardiness zone 4-10. 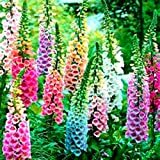 Leaves color green in elliptic shape in circular growth structure. 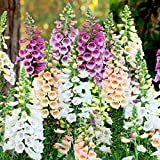 Flower color purple, pink, brown, yellow, orange or white, with speckled in the purple flower the speckled is purple with white, the pink flower the speckled white, red or purple, the white flower with purple speckled, the flowers grow on spike. 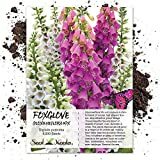 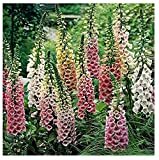 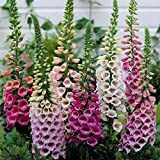 Beautiful Mixed Foxglove 100 Seeds! 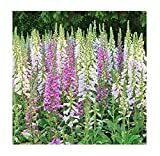 Comb.